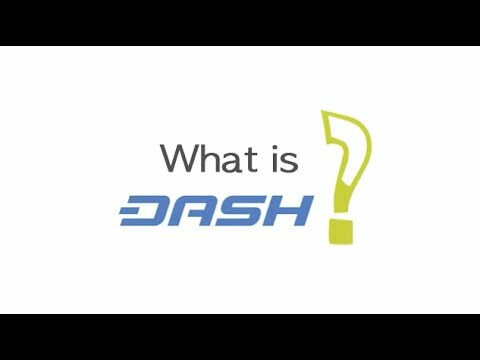 ﻿Dash, originally called Xcoin, is a cryptocurrency that was created in 2014 by Evan Duffield. Dash supports secure, instant, and private payments that made be made online or in stores around the world. All transactions on the Dash network are confirmed using 200 TerraHash of X11 ASIC computing power on over 4,500 decentralized servers around the world. Dash's peer-to-peer network is made of miners which receive rewards for securing the Dash blockchain, and masternodes which are rewarded for validating, storing, and serving the blockchain dash users. The breakdown of transaction inputs into standard denominations of 0.001, 0.01.0.1, 1, and 10 Dash. Users wallet sends a request to masternodes to inform them the user is intersted in mixing a specific denomination of Dash for their transaction. During this process no information is exchanged that could expose the identity of the user. Once two other people on the Dash network send similar requests to the masternodes. The masternodes create a 'change address' by mixing up the inputs and instructs all three of the users' wallets to pay the transformed inputs back to themselves in a different cryptographically generated address.This process is referred to as a 'round'. Users are able to instruct the Dash masternodes to perform between 1-16 rounds of mixing with each specified denominations. A users identity and transaction origin become exponentially more difficult to determine with each round of mixing. The round mixing process occurs on Dash masternodes automatically for users looking to make transactions. When a user decides to make a transaction their transaction amounts are already anonymized. All Private send transactions are rounded up so each transaction spends all its inputs and excess dash is used to pay Dash transaction fees. ﻿Text wallets, also known as SMS wallets, allow users to use smartphones or computers to use Dash. Text wallets officially support by Dash are CoinText and DashText. Darkcoin rebranded to Dash, a portmanteau for "Digital Cash"
The launch of the blockchain is announced by creator Evan Duffield on bitcointalk forums. Decentralized organizations are organizations with no central base of operations or headquarters.